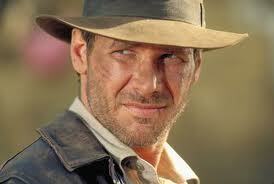 He’s one of my heroes, ok I know he’s not real, but if he were, I would want to be a lot like Indiana Jones. He is caught in this world of physical fact and scientific proof, and yet everyone of his expeditions require him to believe in something that you cannot prove. I find myself there many times. I have read, studied, written, practiced the methods and ideas written down by men who say.“This is the way we plant churches.” And yet like “Indy” I find myself walking this road completely by faith, believing what I believe without seeing it. Jesus gave us instructions on how to make disciples, not on how to plant churches, and it’s a good thing. We must find out what God is saying for each one of us as it applies to the culture we are in! There are no cookie cutter recipes for church planting…make disciples, then you’ll have church. I find myself on that precipice often. There are so many people that are looking to me to offer hope, a better life, the gospel. My fear kicks in, I get paralyzed, the battle between what I can see, and what I know in my heart is raging. I have been here before and honestly there have been times the bridge wasn’t there; I have fallen, I have been wounded. I find that I am here again, facing unspeakable fear that I am doing the right thing, I am leading my family and our church family at KeyStone. If I let myself “go there” I could be paralyzed by fear and not move at all. But we are moving, not just geographically to a new facility, but we are moving in the things our family can’t see. I can’t explain it more than my Indiana Jones illustration. I sense it, I sense that there is the answer just beyond where my faith has ever been tested, just a little further, there is the prize…at least for now. Maybe you are like me and you have been stuck on that ledge for far too long. Take a risk, take a plunge, just take one small step. Trust what God is doing…there is another adventure just around the corner! Paul Cho said, “What you see with your two eyes is not reality.” Wow! Just trust God, take your faith where it has never been, there are treasures of life waiting! 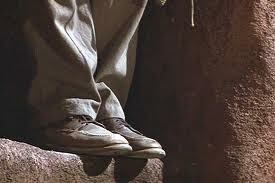 This entry was posted in Uncategorized and tagged Church planting, Faith, Indiana Jones. Bookmark the permalink.